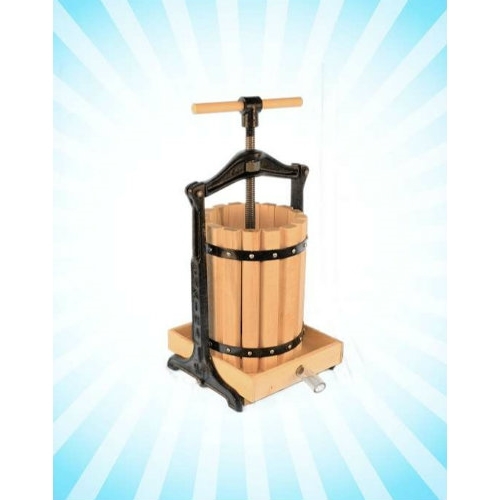 Fruit Presses Tradition meets technology with our quality selection of wine and cider presses. Enjoy fresh juice, cider and wine! New for 2017-- Package deals! Our presses are proudly Made in the USA! Tradition meets technology with our quality selection of wine and cider presses. Enjoy fresh juice, cider and wine! New for 2017-- Package deals! Our presses are proudly Made in the USA! An accessory pack that includes everything needed for your press-- Pressing bag, Ez-Do Polyurethane Gel and Petrol-Gel Lubricant. $55 value! Complete Motor Kits for Happy Valley Ranch Pioneer, Homesteader and American Harvester. Make moving your press easy with retractable wheels for your Happy Valley Ranch complete press. Wooden hopper makes grinding apples faster and easier on Happy Valley Ranch presses. Happy Valley Ranch presses are delivered non-finished. Get your food safe protective coating today! Complete bottling kits for your wine and cider by Happy Valley Ranch! Extend the warranty of your Happy Valley Ranch press with a 10 year warranty!